Not part of the video: NHS has a meeting on Wednesday, 10 October at 2:40 in the auditorium. 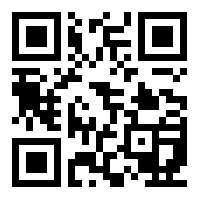 Also, students can use the QR code to nominate for Homecoming Court. Interested in Leadership? Apply for the OHS Leadership Program starting Wednesday October 10th! Applications are ONLY available electronically via the OHS website under Quick Links on the Left Hand Side of the webpage. For more information see the OHS website or stop by Ms. Malagari’s room, B204. Did you know that 20% of youth ages 13-18 live with a mental health condition? Rho Kappa Honor Society encourages all OHS students to wear green on Wednesday, October, 10th to show support for mental health awareness week. We hope to see everyone wearing green to help end the stigma behind mental health. Seniors – Monday and Tuesday are the last chance to have senior portraits taken for the yearbook after school in the auditorium. Questions about assigned times, see Ms. Pyles. Thank you to the Oakdale girls’ soccer team for their generous support of the food drive at Thursday night’s game. A special thanks to the Smithsburg Leopards for also contributing to the drive as almost every guest and player contributed items. Tonight, the boys’ soccer and girls’ volleyball teams are also collecting as they compete against Brunswick. On Friday, the field hockey team will have a collection box as well. See Ms. Stockman, room B244, with any questions. Go Bears! If you have not yet paid your parking violation please see Ms. Harding in the AP office. If it is not paid before Homecoming you will not be allowed to purchase a ticket. If you have already purchased your parking permit and have not yet picked it up please do so. It will be available in the AP office.